I made it to Georgia, safely, after twelve exhausting hours. It’s the first time Dublin has been on a road trip that lasted longer than two hours. She began to get cranky after about two and a half hours on the road. Though she had a portable DVD player to keep her occupied, it stopped working. I didn’t blame her, I wanted to get out and stretch my legs too. We stopped in West Memphis at a McD’s for a quick bite and got back on the road. We made it through Tennessee, Mississippi, Alabama, then Georgia. When I got to Georgia it began to storm off and on. 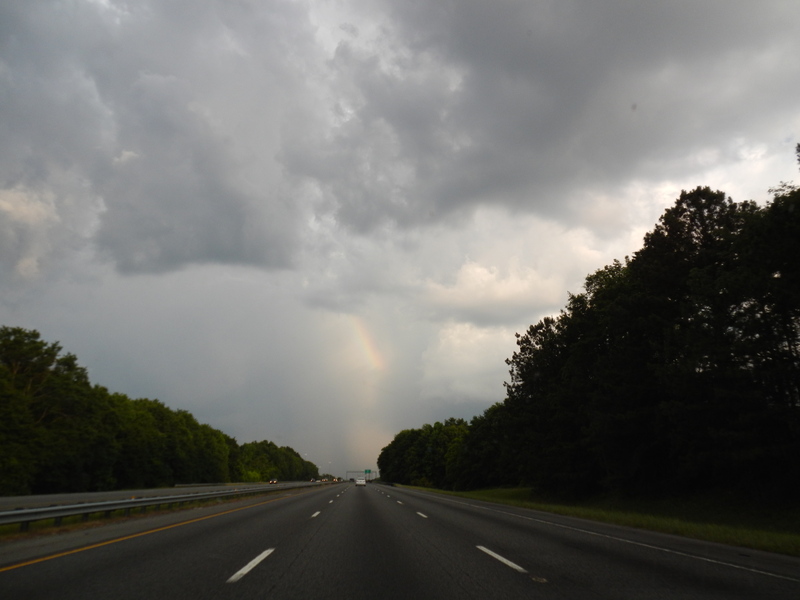 When It the rain stopped I saw a small part of a rainbow ahead of us. This entry was posted in Blog and tagged children, Disney World, family, Georgia, parents, road trip, siblings, toddlers on May 23, 2013 by JenniferNAdams.